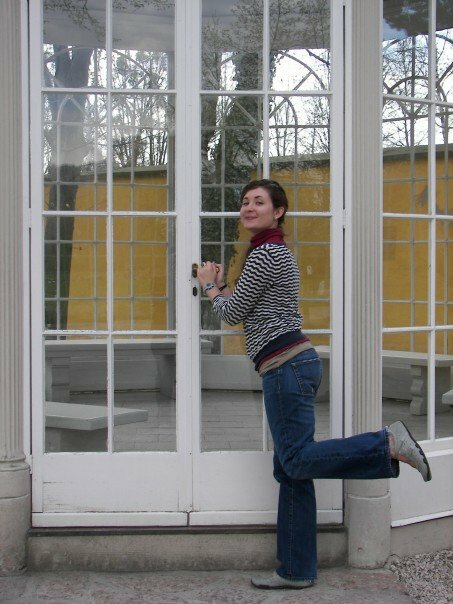 A college friend of mine studied abroad one year in Salzburg, Austria; this meant an easy opportunity for a European adventure. I boarded a plane during my spring break and headed over for one of the most memorable trips of my life. With a number of flight delays -that of course started at the Atlanta airport- I arrived late to Germany, had to take a later train, and arrived late to the Salzburg train station where my friend was nervously waiting. The plan was to visit Budapest with a couple of other girls the night of my arrival. So, you guessed it, we had to take a later train to Hungry and meet up with the girls later that night. You can imagine the anxiety we both felt. But all is well that ends well! We had a great dinner and overall visit to Budapest and made it back to Salzburg where I explored with and without my friend (unfortunately it wasn't her spring break) for four days before heading home for Easter. 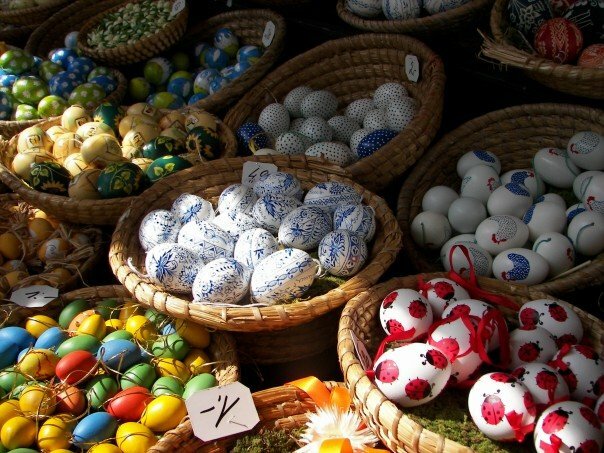 The Easter tradition of Salzburg are just as much if not more of a celebration as in the states. Where Americans have plastic eggs in stores Austrians have the prettiest wooden and chocolate eggs sold by street vendors. Everywhere. There are decorations galore. They love their sweets too. Mozart balls are a big deal. 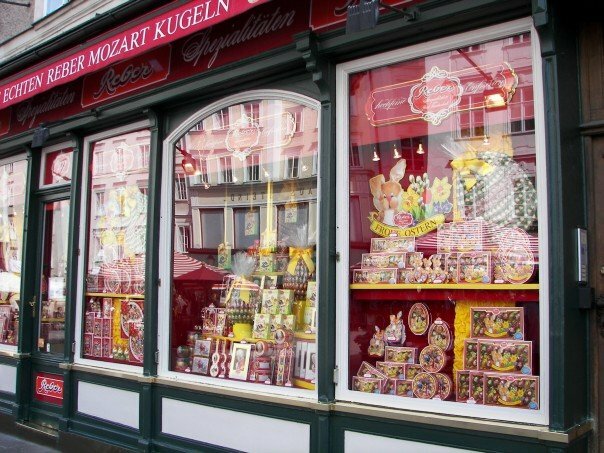 Mozart balls are nugget filled milk chocolate balls. Thankfully I did not fall in love with them because they were on every corner. EVERY CORNER. Here is a little taste of the Austrian Easter excitement. If you ever have a chance to visit in the spring I highly recommend it. Salzburg is very walkable/bikeable. 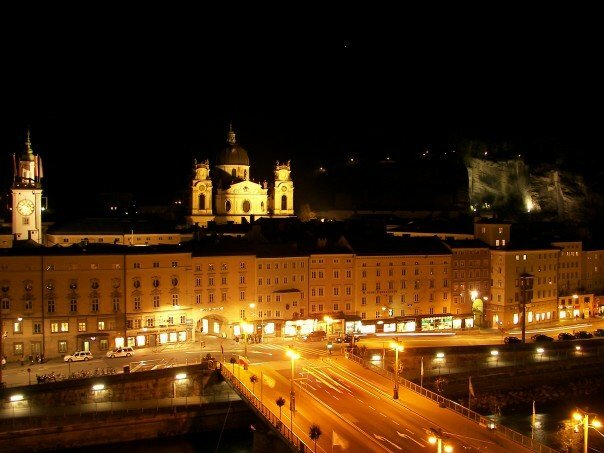 The city flanks the Salzach River and is surrounded by music-filled hills. Just for fun, the picture of the gazebo...from The Sound of Music. No lie. You can learn a lot about Mozart there too. Oh my gosh...and they love tulips as much as I do. Go visit Salzburg.